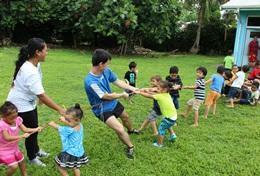 Projects Abroad volunteers can coach sports in the South Pacific all year round. In this beautiful island region, you can teach sports to children and teenagers, educating them about the benefits of keeping fit and how fun sports can be. You can coach a variety of sports in schools and communities, such as rugby, football, cricket, basketball, and track and field. By coaching sports you can help children improve their skills and increase their self-confidence, as well as building their team skills. 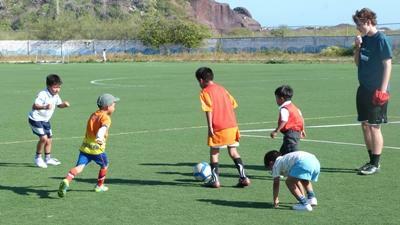 How Can I Volunteer Coaching Sports in the South Pacific? As a sports coach, you will be a positive role model for your students while building and improving your own leadership skills and athletic ability. You do not need to have any previous coaching experience on a sports project, as long as you are energetic and eager to share your experience and passion for sports with children abroad. Work in a local school in Samoa and help children improve their foofball, volleyball, or rugby skills. Work with the Samoa Rugby Union as a volunteer rugby coach, teaching the game of rugby and helping players learn about healthy living.